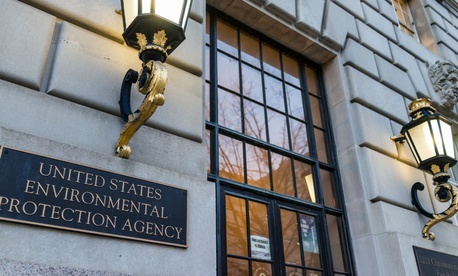 As the Environmental Protection Agency prepares to offer buyouts and early retirement to federal employees later this year, an agency watchdog said its own office failed to implement management controls during a 2014 buyout effort. The report by the EPA Office of the Inspector General about its own use of the Voluntary Early Retirement and Voluntary Separation Incentive Payment programs found that nearly half of those who received buyouts or early retirement occupied positions not authorized by the Office of Personnel Management for elimination, and none of those positions were subsequently abolished. In fiscal 2014, in response to budget cuts that officials at the EPA OIG feared could lead to furloughs or a reduction in force, the office sought to use buyouts to trim upwards of 40 positions from its rolls. The effort led to 23 employees accepting buyouts, and EPA paid out $572,000 in incentives and $287,000 in annual leave—$859,000 in total. But 11 of those employees occupied positions not targeted in the agency’s buyout plan as approved by OPM, making for a total of $347,000 in erroneous payments. The report said “minimal supervision and management oversight” of the buyout program was a key contributor to the 2014 effort’s failure to meet the office’s goals. Although the EPA OIG achieved its desired target of reducing the workforce to less than 300 full-time positions, the report said it did not meet its goal of improving the office’s manager-to-staff ratio, reducing surplus positions or obtaining staff with new science and information technology skillsets. In April, the OIG released a report about the 2014 buyouts for the agency as a whole, and found that while the $11.3 million effort, when 456 employees left the agency, “aided workforce restructuring goals” generally, it was unclear if the EPA achieved its goal of obtaining staff with new skillsets and increasing the number of staffers per supervisor. Of the 16 new employees hired by the inspector general office between fiscal 2014 and July 2016, only two filled a position that was restructured with new skillset requirements as part of the buyout effort. And auditors said the next round of buyouts could produce similar results. The report recommended that the office abolish the positions that were vacated through the 2014 buyout effort, and where necessary transfer employees into other vacant jobs. It also recommended that officials review the office’s restructuring plan and update it where needed, as well as implement new internal controls to prevent the possibility of buyouts for unauthorized positions in future rounds of separation incentives. In response to the report, the office agreed with the premise of the findings, but had qualms about the “factual accuracy” of the information supporting them. Auditors said they declined to amend their recommendations, despite officials’ concerns. Despite Shields’ protest, he said the office will be in compliance with all recommendations by Sept. 30. Specifically, the EPA OIG will abolish all positions that had been vacated by buyouts, and the office will establish standards and a checklist to confirm that buyout decisions are consistent with the plan it submits to OPM.